This week we invited the Psyonix team to the show to talk about their upcoming Twisted Metal meets FIFA soccer style game, Rocket League. 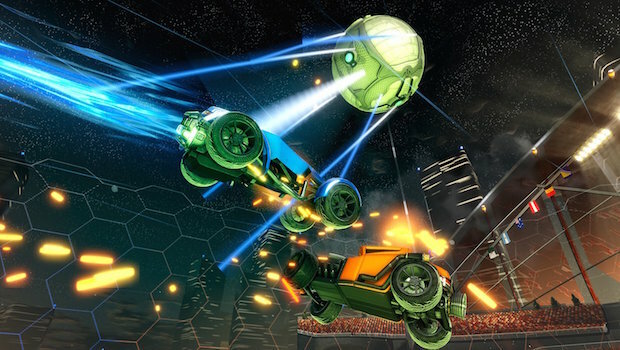 Besides going in-depth on Rocket League, which is coming to PS4 and Steam this Spring, we also get to know a little more about the Psyonix team, whose work began with creating the Onslaught multiplayer mode in Unreal Tournament 2004. Host Sean Lama is also joined by Gaming Trend editors Eric Van Allen and Kenneth Shepard, where they talk about the recently revealed Danganronpa Another Episode, Disgaea 5, The Order, and even establish that capes and crepes have no place the world.